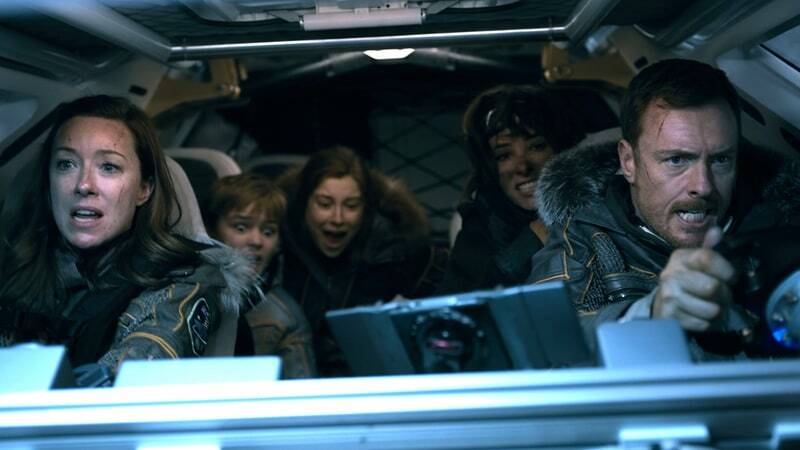 We finished off Lost in Space season 1 a couple of days ago and it’s much stronger than the first couple of episodes would lead you to believe. The show folds not one but two pretty much complete thematic shifts into ten episodes which is more than a lot of series manage in three times that amount of space. -How do we stop freezing to death in 5 hours? -How do we get someone out of a frozen ice lake? -How do we escape a forest fire? -How do I cover up the fact I was absolutely not supposed to be on the transport? -How do we get in contact with other survivors? -How do we conceal the fact the robot we’ve inherited is a bit stabby? -How do we fix the family unit so everyone is treated more fairly? While not dying? -Wait the robot is THAT stabby? And he’s sorry about it? -How do we contact the transport? -How do we get offworld? -How do we get control of the ship back? -How do we rescue the characters who are literally lost in space? -How do we get to season 2? And all of it works. It’s a show that continually finds peril in its locations and rapidly drills down into the characters that, at first, are all a little tropey. There’s a fantastic delayed punchline involving helium and a tar pit that’s one of my favorite things I’ve seen this year. There’s a glorious ‘reluctant badass’ moment which cements Ignaci Serricchio’s Don West as a squalid, down-at-heel hero for the ages. There’s a final episode reveal which turns the entire premise of the show on its head, makes the title part of the plot and expands the world in ways which it’s shown you from the first episode but you just haven’t noticed. Oh and in among all this is a piece of old-school rocketry that was so completely unexpected it punched me square in the heart. As the series hits the third act, there’s an arc plot involving fuel, and how little of it they have. They can’t get a single ship to orbit to signal the transport, they know the transport is leaving in 24 hours and the world is falling apart under them. Then, Maureen figures something out. They can’t get a single, fully loaded ship, to orbit. But something stripped down? Something like the original MercuryProject capsules? That they can absolutely launch. She explains all this in a speech to the other colonists which culminates in Molly Parker’s voice cracking just a little on the line ‘Welcome to 1962’. Which is the year John Glenn orbited the Earth in Friendship 7. At which point I was basically a snot bubble with optic nerves. The show could, so easily, have mashed the ‘OLD SCHOOL SPACEFLIGHT!’ button so hard it broke the casing. It comes close in the credit sequence which is so carefully Norman Rocketwell that again, it carries a chunky emotional punch. But this is pretty much the only time they do it, and Parker’s delivery is what really makes the speech land. This isn’t old school science for the sake of it or for cheap nostalgia. It’s also certainly not science fiction proudly turning backwards because that way the future lies (COUGHAndy WeirCOUGH). This is the past handing a tool to the future, knowing it’s what they need. It’s an engineer solving a problem using history and she’s both profoundly moved and giddy that this is what they get to do It’s respectful without being obsequious and it places the show in a prestigious line of steely eyed missile men and women, real and fictional. And because this is a show that earns it’s stripes, it’s very far from a complete solution too. But, as the season ends, almost certainly a solution that has the most ethical horsepower. Clever, heartfelt and immensely confident it’s a hell of a close to a hell of a debut year. I really hope it gets a season 2.